Middle-income developing countries confront two extremes within the public health sector. While a large percentage of the population is underweight and malnourished, a growing number of people are adopting an unhealthy, western-influenced lifestyle, dispensing with physical activity and consuming fast food. Mexico, a developing Latin American country, is grappling with an explosion in obesity, affecting children in particular. The Latin American country now has more obese kids than anywhere else in the world. Only 25 years ago, many Mexicans were overweight, while two-thirds were of normal weight, according to official statistics. Today, nearly a third of the population is clinically obese, and more still are overweight. The explosion coincided with Mexico’s embrace of American fast food, alongside their own national products, and less exercise. More than 200,000 deaths a year in Mexico are linked to cardiovascular diseases and 80,000 to diabetes, with obesity being the key trigger, according to the Financial Times. As poor Mexicans have less access to healthcare, the situation could become catastrophic for the country. ?In Indonesia, which is another middle-income developing country, the regional difference is profound. In the capital Jakarta, commuting is mostly done by car or scooter, and fast food chains are evident on most city streets. The trend towards a more western lifestyle having an enormous impact on domestic obesity levels. 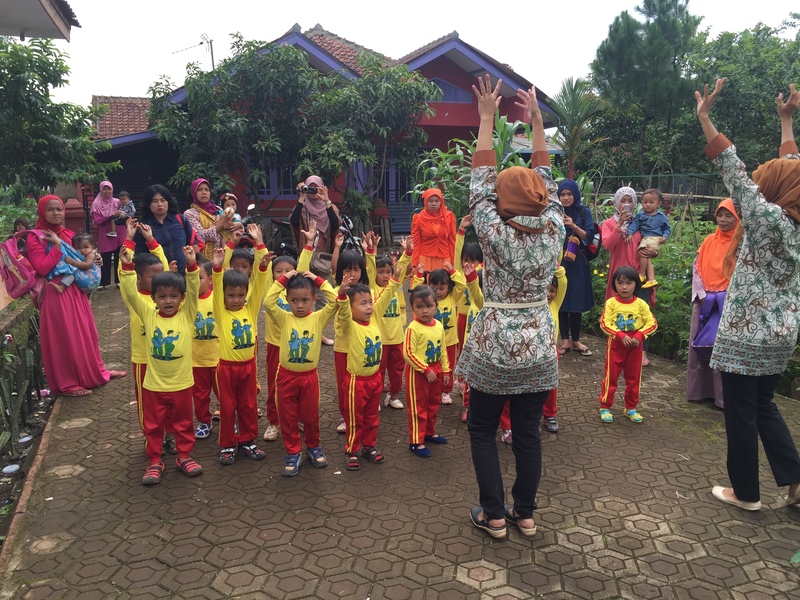 Dr. Elvina Karyadi, the director for the Micronutrient Initiative in Indonesia, told EURACTIV, that obesity is a new trend in addition to stunting and malnutrition. At the same time, experts on nutrition in Indonesia say the burden of malnutrition remains depressingly high. In east Nusa Tenggara, the prevalence of stunting is 48%, with 45.9% in west Sulawesi, and 38.9% in northeast Sulawesi. Despite being considered a middle-income country, from 2004 to 2008, the portion of the population that received less than half of the median income rose from 17% to 21%. Poverty levels rose considerably from 2006 to 2010, with persons living in extreme or moderate poverty rising from 35 to 46 % (52 million people). Indonesia has the fifth highest number of stunted children in the world, with more than 7.6 million, according to UNICEF. Stunting is a chronic under nutrition problem, caused by chronic lack of nutrition intake, due to improper feeding. Stunting occurs from pregnancy until the first two years of children’s lives, when the signs of stunting start to show. Over one-third of children under five years of age experience stunted growth, as measured by international standards of height for age, says the Millennium Challenge Corporation. More than 3.8 million children in Indonesia are underweight. Nafsiah Mboi, the Chair of The Global Fund to Fight AIDS, Tuberculosis and Malaria, and a former minister for health in Indonesia, told EURACTIV that Indonesia indeed has health gaps. “In nutrition, unfortunately, I don’t have the exact figures, but I think that around 17% of Indonesians are now overweight, while in some areas we still have malnutrition. We have seen that the rates of infectious diseases have gone down, while non-communicable diseases have gone up tremendously. The non-communicable diseases are not included in our health insurance schemes, so this is something that I have been fighting for. So you see the transition from diseases of poverty to diseases of Western lifestyle,” she said. Karyadi mentioned that over the past decades, food fortification has been common practice in Indonesia to combat malnutrition and stunting. Food fortification is the process of adding micronutrients (essential trace elements and vitamins) to food. The most common fortified foods are cereals and cereal based products, milk and dairy products, fats and oils, tea and other beverages, as well as infant formulas. “In Indonesia we have flour, rice and salt fortification with vitamin A, but this has just started. The process is till ongoing, not fully implemented, and the monitoring is lacking,” she said. Franck Viault, head of cooperation at the Delegation of the EU to Indonesia, said that the EU currently supports a programme together with UNICEF, mainly focusing on nutrition, maternal and child nutrition. Roughly €4.5 million has sp far been spent in Indonesia via this regional programme. However, since the beginning of 2014, in terms of development cooperation for middle income countries like Indonesia, the EU is changing its development assistance, with more focus on the poorest countries. This means that aid focus in Indonesia will no longer be on health, but on education, and good governance, with a new programme in the justice sector. Indonesia is an emerging economy taking an increasing leadership role on the global stage. It's also still receiving support from international donors to strengthen its efforts to undertake key health services, such as ensuring all its children are reached with vaccines. In a country made up of over 6,000 inhabited islands, reaching everyone with health services - from immunisation to treatment for tuberculosis and AIDS - can be difficult. 2015: European year of Development Coorperation. Yes, this is important but it’s not either or. It is important we are aware of what is influencing us. Let’s get rid of the victim mentality, people can take control. Our food environment is an important factor but we can decide not to let that control us.